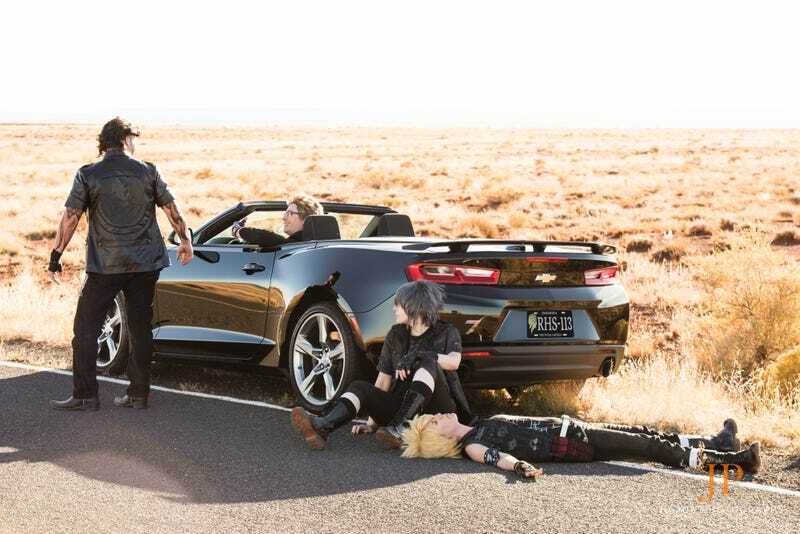 If there’s one place you could get a black car, hit the highway and have it look just like Final Fantasy XV, it’s Arizona. That’s where this crew (the same from a camping trip we featured a while back) headed, renting a Camaro and driving around the state for the weekend, visiting lava tubes in Flagstaff, meteor craters and retro diners along the way. Prompto and Gladio are Frank and Nats Armory, Noctis and Ignis are KnowOne’s Designs, Cindy is @5_dollarshakes and Iris is Shannwich. Photos by Julius Photography.